Adobe Lightroom CC is an application developed by Adobe, which makes professional photo editing easy for the regular user. As you can expect from Adobe, it is incredibly powerful with advanced tools for adjustments and corrections of your images. 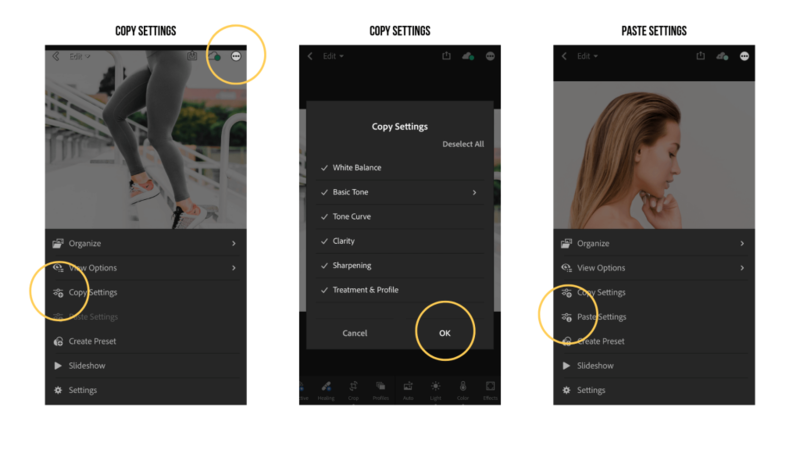 Crop, adjust colour, tone, light, and apply presets to your images using Adobe Photoshop Lightroom CC on mobile wherever you are in the world. 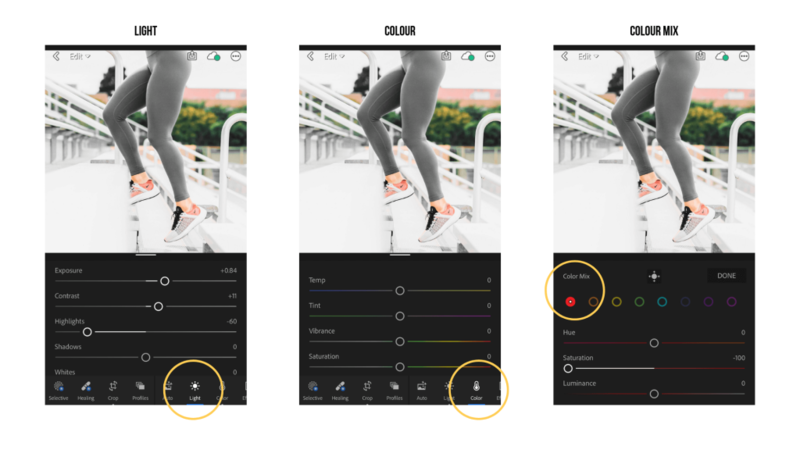 This application allows you to tap and hold the before icon to compare before and after versions of your photo while you’re editing to see the changes you have made. All of the work you do in Lightroom CC on mobile is synced with Lightroom on your desktop, if you also use the desktop version of the application. The application has a variety of tools, including editing image light and tones, as well as copying image edit settings to ensure cohesiveness across your images. If you’re looking to edit professionally, but don’t want to make your life too difficult, this is the app for you. First things first, you need to import some images on to your application. Simply take the picture within the app by pressing the camera icon, or press the image icon with a plus sign to import a photo you have previously taken. Click the tick on the upper right-hand corner once you’ve selected the right photo. Now, just tap on your image to start the editing process. You will see lots of different tools at the bottom. Feel free to play around with all of them, because they’re all pretty cool. I will be discussing the best tools of the app that will allow you to create a perfect edit. Lightroom CC’s ‘light’ tool is amazing, as it allows you to change exposure, contrast, highlights, shadows, whites and blacks. To be able to do that gradually on a mobile application is great, especially as it doesn’t alter the quality of the photo. For example, if the sun looks too bright on a photo, you can decrease the highlights, without affecting the light in the rest of the image. If black tones are too overpowering on a photo, you can decrease the blacks to make those areas of the photo lighter. Ah-mazing. One of the most amazing features about Lighroom CC is the Colour Mix feature. This allows you to enhance certain colours of an image. All you have to do is go onto the ‘Color’ option at the bottom, and click on ‘Color Mix’. Tip: Before you go on to ‘Color Mix’, if you’d like your image to appear warmer, increase the temperature. If that makes the image too orange, add a little bit of pink tint. If you’d like your image to appear colder, decrease the temperature. Mess around with the ‘Vibrance’ tool as well, it will make a huge difference. Now, on to the ‘Color Mix’ feature. For example, if you’d like red shades to be brighter, you could increase luminance and saturation. If you don’t want any yellow tones, you would tone down the saturation and luminance in the yellow colour tab. If you’d like green tones to be a bit more blue, you’d change the hue of the colour. There are endless possibilities. What I like the most about this editing application, is that you can copy these settings on to other pictures within seconds. So, if you’re looking for a certain editing style to achieve a cohesive brand image, Lightroom CC makes it supereasy for you. If you don’t want any greens on your photos and you’d like that to continue in the future, make the filter and copy it across all your photos. This is extra useful for maintaining a cohesive and aesthetically-pleasing Instagram feed. To copy the settings, click on the little ‘dots in a circle’ icon on the upper right-hand-side corner, and tap ‘copy settings’. That’s it! To apply these edits to another image, click on the ‘back button’ on the upper left-hand-side corner, import the next image as shown before, go into the image, click on the ‘dots in a circle’ icon and tap ‘paste edits’. Done! Once you’re happy with your design, click the little save icon. That’s it! I hope you found this post useful. 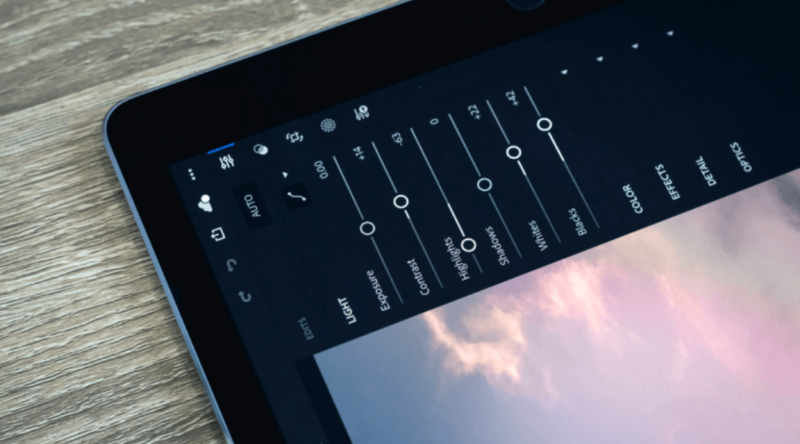 Why not check out our blog post that discusses even more free photo editing apps for those picture-perfect Instagrams? If you need help with your social media content management, including making sure all of your photos are beautifully edited, find out how we can help.